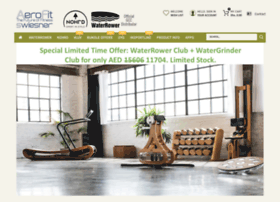 AeroFit is the exclusive GCC distributor of WaterRower fitness rowing machines and Nohrd wooden fitness equipment for home and commercial use. Our products are a perfect blend of style, luxury, and comfort. Call +971 55 646 0554 or email info@aerofit.me to get free delivery and installation.